Get ready for some festive cheer with these Christmas Holly crackers. In a box of six, these Christmas crackers are perfect for all the family. The crackers each include a hat, joke and a toy. 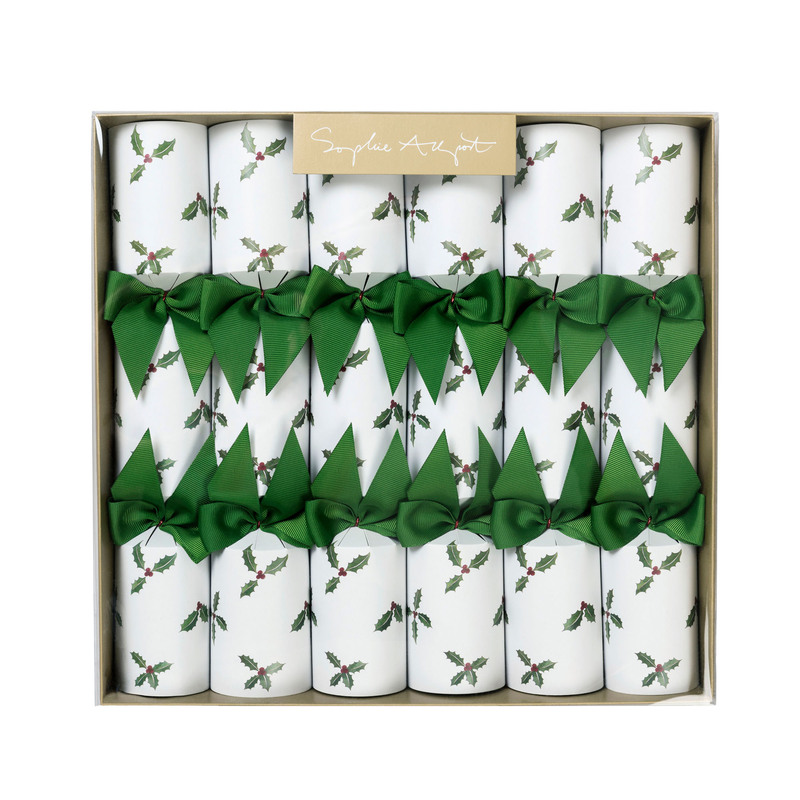 Decorated with a Holly and Berry design complemented with green ribbon these high-quality crackers are a great addition to the table decorations this Christmas.